Boo! It’s time for some costume fun in the studio! 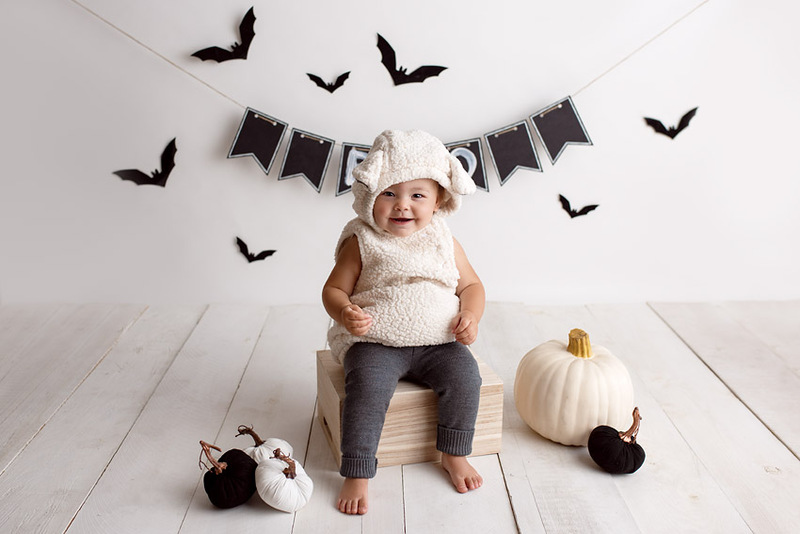 It’s time for our annual Halloween Studio Mini Sessions! I’m so excited to see your littles in their 2018 Halloween costumes! Friday, October 19th from 9: 30am to 1pm, then again from 4pm to 5:30pm! Halloween Mini Sessions are open to kiddos of all ages in celebration of Halloween! Have your kiddos wear their awesome costume and come over to the studio for their yearly Halloween photo. Sessions will be 15 minutes each, and 3 full resolution digital images are included. You will receive your full resolution digital images from the session, with print release, allowing you to print these images on your own. You will also receive lab recommendations for quality prints. These sessions are 15 minutes and are meant to move quickly. Images will be delivered by Wednesday, October 31st – Halloween 2018! Sophie Crew Photography’s studio in Santee, 92071. Address provided upon booking! Halloween costumes, of course! This year’s decor will be a solid white background with black accents and black and white pumpkins. I like to keep the setup very clean and not too busy as to have your little one in their costume take center stage! Click on the calendar below to pull up any open time slots. Pick one by clicking on it. You will be redirected to PayPal to officially reserve your spot. Spots are non-refundable, but in case of a sick kiddo or zombie apocalypse that day, you can apply 50% towards a future session.